Barnstaple, UK, May 19, 2015 – An advanced fuel regulation module, the industry’s first fully integrated CNG (compressed natural gas) flow control and regulation system for medium- and heavy-duty vehicles with 5- to 12-litre engines has been launched by the Instrumentation Products Division of Parker Hannifin - the global leader in motion and control technologies. Parker’s advanced FM80 withstands extreme variations in temperature, flow, vibration, supply pressure, and gas composition, setting a new standard in CNG fuel handling. FM80 was engineered for medium- to heavy-duty vehicles like delivery and day cab trucks, cement trucks, school and mass transit buses, and waste refuse/recycling vehicles. Optimised for advanced fuel handling performance in 5- to 12-litre engines, Veriflo’s piston-style regulator design offers stable pressure delivery and control of CNG throughout the full range of extreme engine and environmental operating conditions. Integrated internal regulator components, with fewer connections, work together to eliminate fuel line failures due to freezing, dampen flow-induced vibration, reduce drop at high flow, and extend cycle life. The manifold design of the regulator system reduces the chance of fuel line pressure increase due to reduced volume of fuel between the solenoid valve and regulator seals. 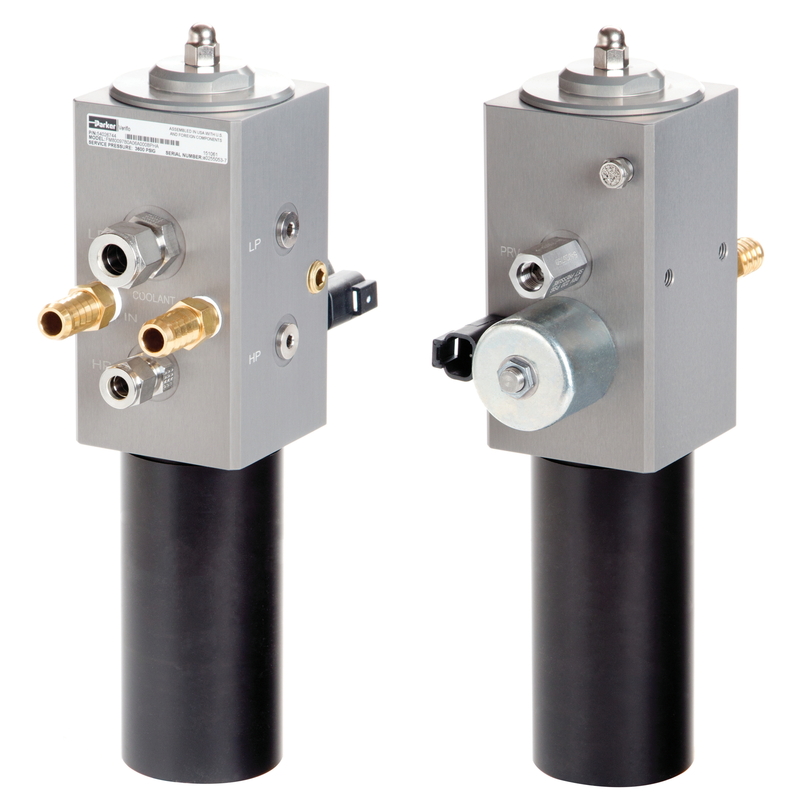 In addition to the FM80, Parker offers multiple fuel module options for system integrators and OEMs. The FM80 is designed to achieve the highest nominal flow rate (80 kg/hour) in the industry and the lowest low-pressure operating parameter (250 PSIG), which increases the usable range of CNG vehicles by a critical 3-to-5 percent. 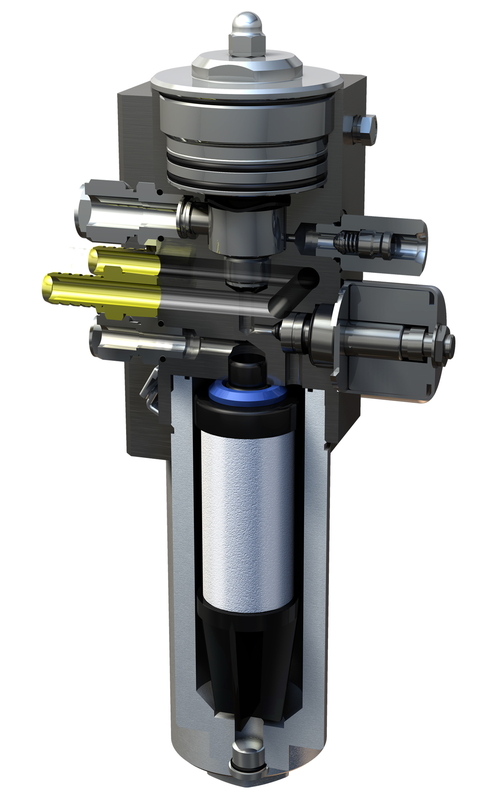 Other key features and advantages include: an integrated heating circuit that uses heated radiator fluid to condition the gas before it enters the engine, offering improved reliability at low temperatures and eliminating fuel line failures due to freezing; good response to power demand for better drive-ability; a well-dampened piston that reduces flow-induced vibration; reduced pressure drop; constrained motion poppet design that eliminates lateral loads and seat wear; thermal shielding of internal components with PTFE seals to isolate gas flow, allowing continuous operation even in extreme -40 to +120 degrees C ambient temperatures; optional boost pressure augmentation for optimised outlet pressure and performance of turbocharged engines, and compact size - offering maximum efficiency in a small space. 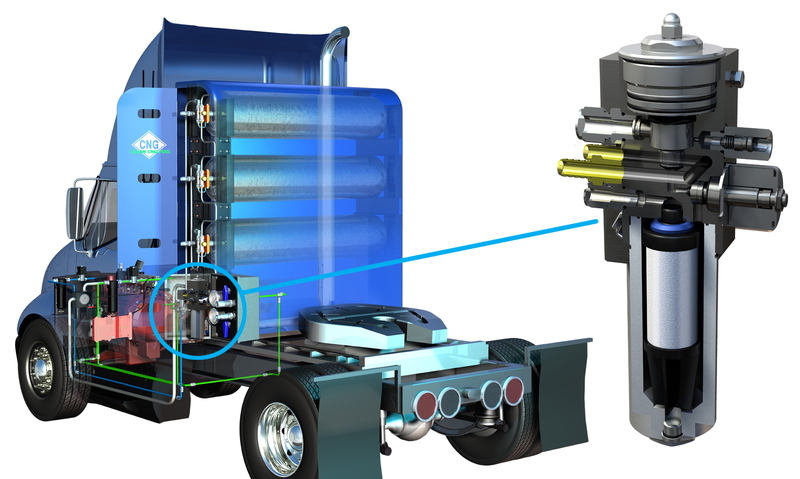 The first fully integrated CNG flow control and regulation system for medium/heavy-duty vehicles with 5- to 12-litre engines has been launched by Parker. 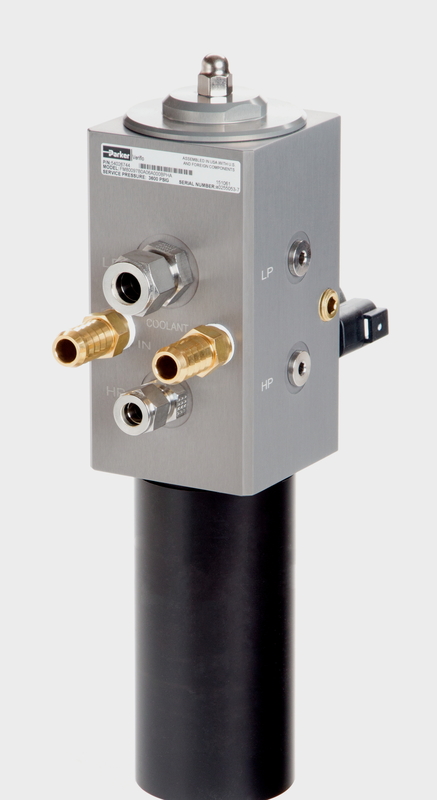 Parker's fully integrated CNG flow control and regulation system - showing the front and rear view of the variant fitted with a large coalescing filter. To view all press releases, click here. If you are interested in other press material such as an article or an interview, just call or email help@wordsun.com.